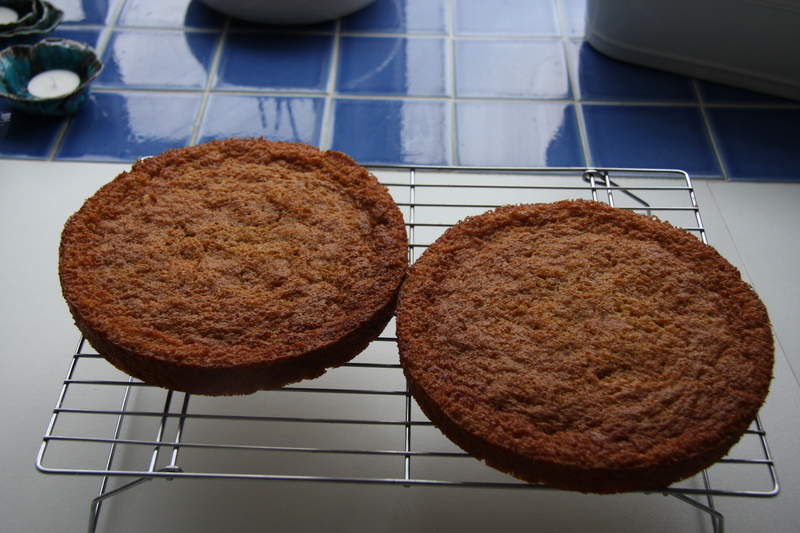 Cakes don’t always turn out the way they should, even if you are an “experienced” baker. There is always room for human error! 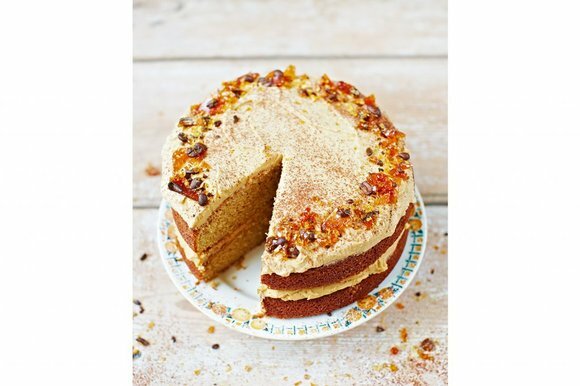 I struggled with this cake from the outset because I didn’t put my faith in the recipe from the start. It is essentially a Victoria sponge with an extra 25g flour and 130ml liquid and I was worried that it was a lot of extra liquid. I often get texts from friends about cakes that haven’t turned out how they should have, asking what I think could have gone wrong. I love trying to work out what could have happened. It’s a bit more annoying when it’s my own cake! I spent ages trying to figure out what happened with this one. It went in to the oven looking like it had curdled and I hadn’t finished folding in the flour. And it came out of the oven looking like it had way too high a percentage of sugar and hadn’t risen properly. I checked the flour: definitely used self raising, and even if I hadn’t it wouldn’t have mattered because I put the teaspoon of baking powder in that I didn’t think was really necessary anyway. I know I weighed the sugar and butter properly because I remember. I checked other cappuccino cake recipes and they were all essentially the same, so it definitely wasn’t the recipe. In the end I added up the weight of all the ingredients – using a guesstimate for the eggs. I knew what the cakes weighed when they went in to the oven as I weigh them to make sure each tin has the roughly the same amount of mixture. And I realised later I could have weighed them when they came out anyway. The only conclusion I could come to was that I had put in 100g too little flour. Which I should have realised when I folded in the flour and almonds but didn’t because I was already expecting the mixture to be too runny. Too clever for my own good, I should have trusted the recipe from the start and would quite possibly have realised my mistake. If I had been making this cake for someone else I would have started again. As it was a cake to enjoy with a cup of tea after a long walk on a Sunday afternoon I didn’t think it mattered too much. 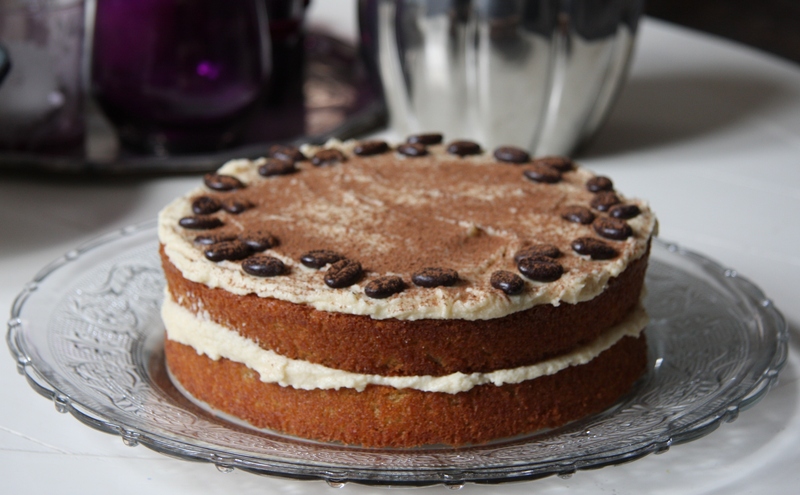 Beautiful shards of caramel encasing coffee beans decorate the cappuccino cake in Jamie’s photo. 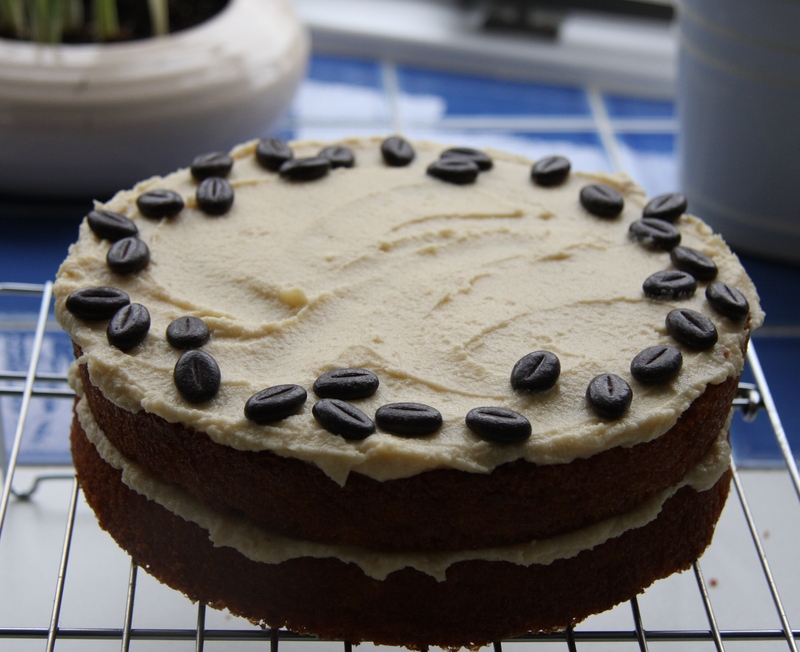 My cake didn’t really deserve them so I went with chocolate coffee beans instead. Because it didn’t have enough flour it was a little dense and soggy and even without the kahlua was very reminiscent of tiramisu. 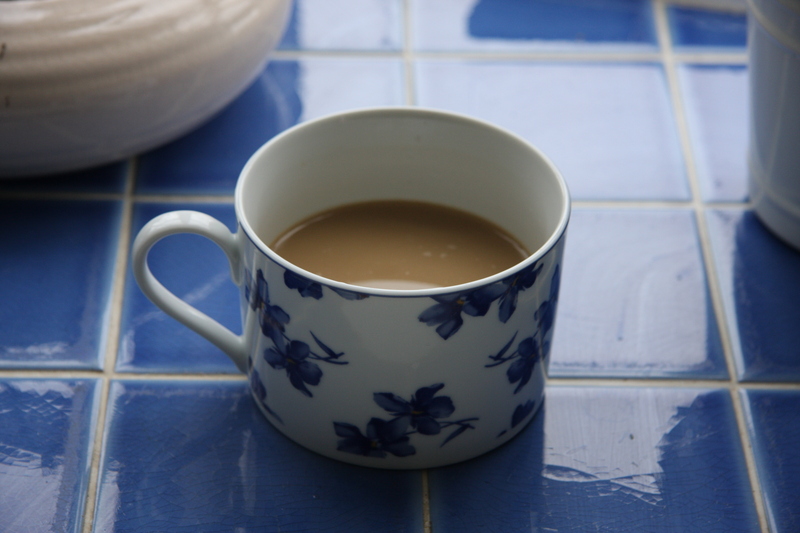 Which I will now definitely be making very soon! Set the oven to 180°C. 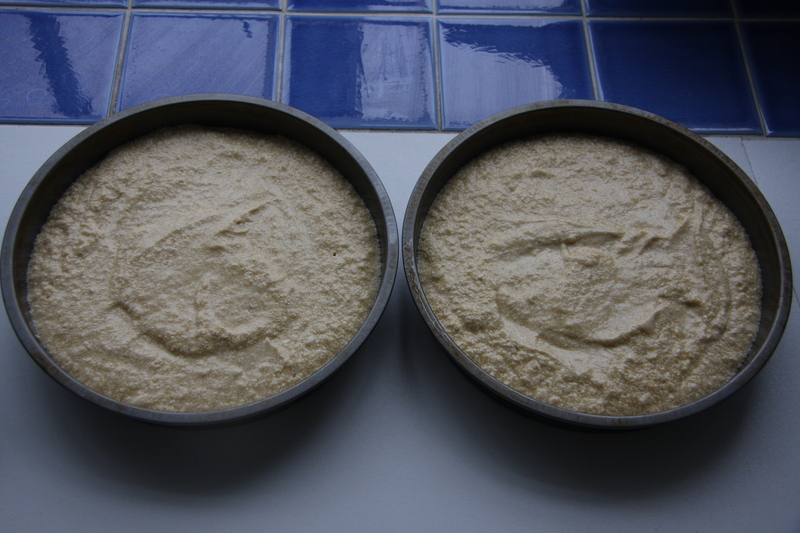 Grease, and line the bases of, two round 20cm/8″ cake tins. Cream the butter and sugar until pale and fluffy. Beat in the eggs, one at a time. Fold in the ground almonds, flour and baking powder. Stir in 100ml of the coffee along with the Kahlua (or milk) and the vanilla, then divide the mixture evenly between the two cake tins. Bake for 20-25 minutes, or until a skewer inserted into the middle comes out clean. Leave to cool in the tins for 5 minutes, then turn out onto a wire rack to cool completely. To make the icing, sieve the icing sugar into a bowl and add the butter. Beat on slow to start with. When the mixture ressembles sand add the remaining coffee and beat for around five minutes. Use half the buttercream for the centre of the cake, top with the second cake and finish with the rest of the buttercream. 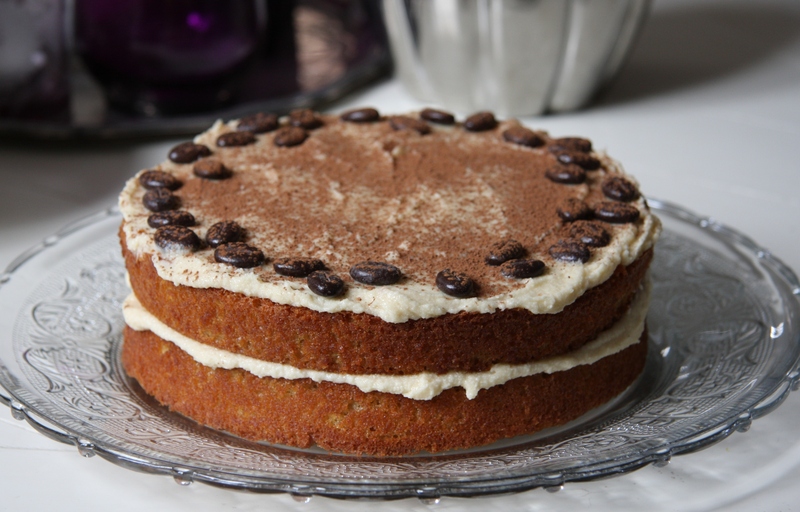 Decorate with chocolate coffee beans and a heavy dusting of cocoa powder. ‹ Cranberry and Dark Chocolate Buns – hot cross optional! Tiramasu cake! Mmmmm. That would be called a happy mistake. I know, it could have been a lot worse! It still turned out looking amazing! Great post, coffee-flavoured desserts are my favourite. Thank you very much – I think it was more luck than judgement! 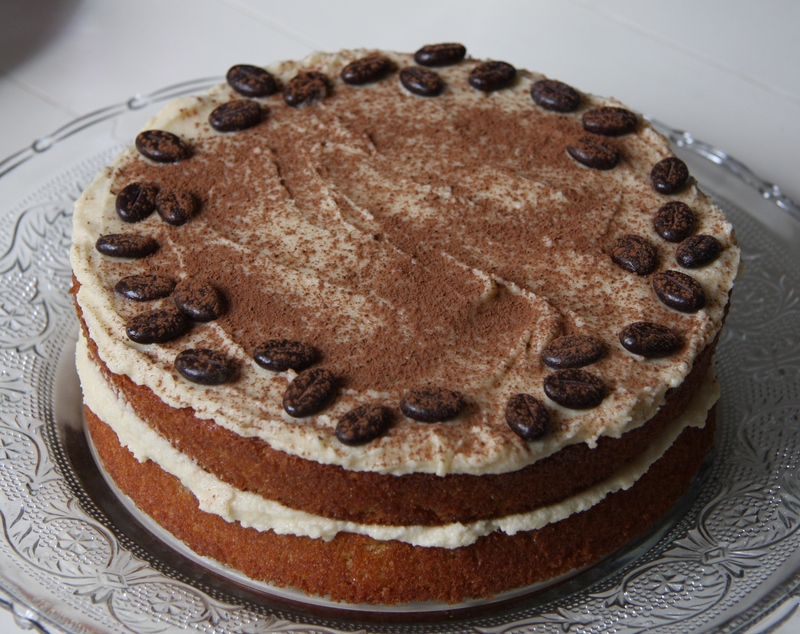 Coffee cake!!! it looks so good! I think it’s awesome you can dissect the recipe like that and figure out where it may have gone wrong. I made angel food cake once and it was the biggest disaster. I have no idea what happened to it! I’ve never made angel food cake but I know it’s a complicated one – I saw it on a cooking show once and you have to do something to stop it collapsing when it comes out of the oven, can’t quite remember what! Haha, yes, mine were sunk!